This P2P sw work exactly as the previous one, for more technical info on P2P see here. 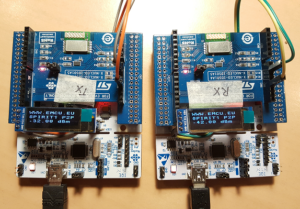 This entry was posted in Spirit1, STM32, WireLess & Networking. Bookmark the permalink.